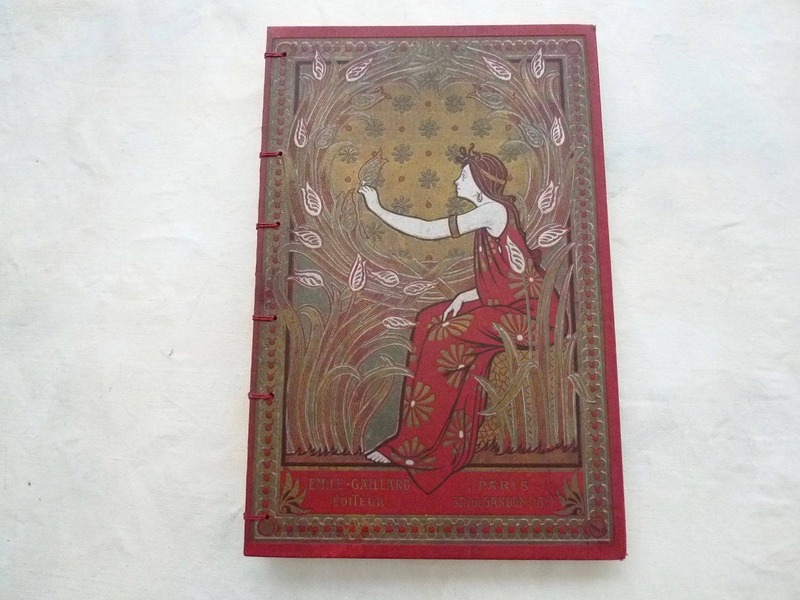 Spellbinderie offers one of a kind sketchbooks made from beautiful antique French books. Custom made for you! You choose the cover and options. Photos show sold work, please read below for ordering details then contact me with your request. To start, please browse my shop for available books and choose one of the packages offered or contact me if you'd like other options. Click here to return to the shop home page and browse using the menu on the left. Didn't find the perfect book? Contact me with your request and I'll source a book for you. Estimated pricing is provided for a sourced book made with the package below. 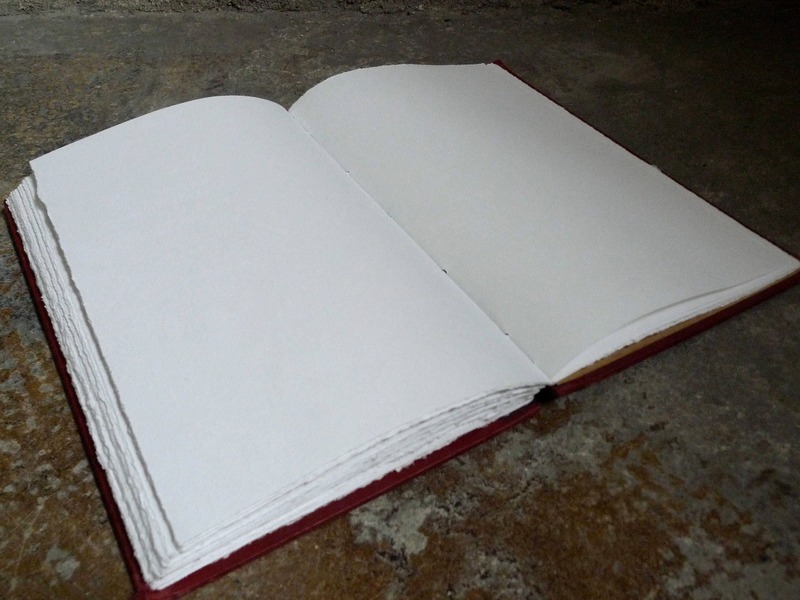 For other options such as different paper, more pages, a ribbon to tie the journal closed, a brass plate for the cover, a price quote can be provided. 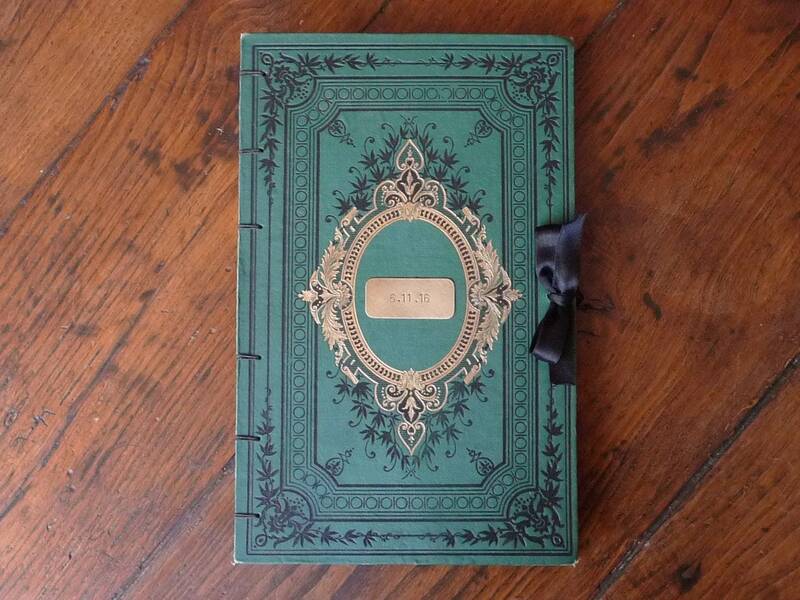 Coptic bound with Crawford waxed (vegan) linen thread. 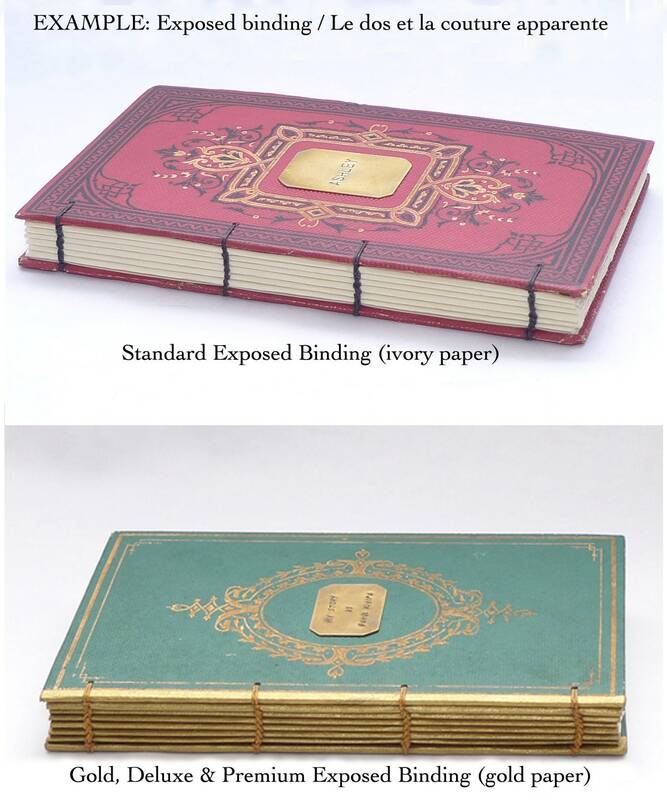 This binding method is strong and flexible allowing the sketchbook to open flat.